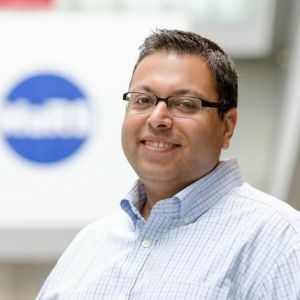 Salim Teja is the EVP Ventures for MaRS, where he leads the overall strategic direction of MaRS’ three venture services areas: Health, ICT and Cleantech. He is an experienced entrepreneur and active early-stage technology investor, with deep industry expertise in software and digital media. Salim joined MaRS in May 2013, providing strategic direction and leadership for MaRS’ ICT venture services group, leading corporate and venture capital engagement, and overseeing MaRS’ expanding international collaborations in the ICT sector. In this role, he has also provided direction to MaRS’ JOLT accelerator, overseen entrepreneurship initiatives with academic partners in the ICT arena, and has been responsible for the MaRS Commons, an 8,500-square-foot co-working space for entrepreneurs in the ICT sector. Salim joined MaRS from Indigo Books & Music, where, as vice president of corporate development, he drove the formation of the company’s Digital Innovation Lab. Prior to Indigo, Teja held the position of COO at CX Digital, a leading online ad network. He has also held roles as COO of b5media and partner with early-stage VC firm Brightspark Ventures, where he was the driving force behind investments, including Radian6 (recently acquired by Salesforce.com). He was also co-founder and vice president of sales and business development for San Francisco-based MobShop Inc., a pioneer in online group-buying funded by GE Capital, Visa International, Mayfield Fund and Marc Andreessen. He is a graduate of the University of Western Ontario’s Richard Ivey School of Business.